2008 Mercedes-Benz C 300 - Barolo Red Metallic exterior over a Savannah/Cashmere interior with Burl Walnut Wood Trim, Premium 1 Package (Heated Front Seats, SiriusXM Radio, Power Folding Mirrors, Rain Sensor Wipers, Autodimming Mirrors, and Garage Door Opener), Luxury Sedan (Luxury Styling, Mercedes-Benz Star Hood Ornament, and 17" Split 5-Spoke Alloy Wheel), and 7-Speed Automatic Transmission. One owner, clean CarFax report, Original MSRP $34,700.2008 Mercedes-Benz C 300 - Barolo Red Metallic exterior over a Savannah/Cashmere interior with Burl Walnut Wood Trim, Premium 1 Package (Heated Front Seats, SiriusXM Radio, Power Folding Mirrors, Rain Sensor Wipers, Autodimming Mirrors, and Garage Door Opener), Luxury Sedan (Luxury Styling, Mercedes-Benz Star Hood Ornament, and 17" Split 5-Spoke Alloy Wheel), and 7-Speed Automatic Transmission. One owner, clean CarFax report, Original MSRP $34,700. 2011 Mercedes-Benz C 300 4MATIC - Arctic White exterior over an Almond interior with Burl Walnut Wood Trim, Premium I Package (Power Rear-Window Sunshade, SiriusXM Radio, Rain Sensor, Split-Folding Rear Seats, Power Dr.Seat & Steering Col. w/ Memory, Autodimming Mirrors, Integrated Compass in Rearview, Garage Door Opener, and 4-Way Lumbar Support), Sport Sedan (Sport Body Styling, Mercedes-Benz Star in Grille, Sport Suspension, and Daytime Running Lamps), 17" 5-Spoke Alloy Wheels, and Heated Front Seats. One owner, Original MSRP $41,435.2011 Mercedes-Benz C 300 4MATIC - Arctic White exterior over an Almond interior with Burl Walnut Wood Trim, Premium I Package (Power Rear-Window Sunshade, SiriusXM Radio, Rain Sensor, Split-Folding Rear Seats, Power Dr.Seat & Steering Col. w/ Memory, Autodimming Mirrors, Integrated Compass in Rearview, Garage Door Opener, and 4-Way Lumbar Support), Sport Sedan (Sport Body Styling, Mercedes-Benz Star in Grille, Sport Suspension, and Daytime Running Lamps), 17" 5-Spoke Alloy Wheels, and Heated Front Seats. One owner, Original MSRP $41,435. 2014 Toyota Camry SE - Cosmic Gray Mica exterior over a Black/Ash 2-Tone interior, 17" Alloy Wheels, Electronic Stability Control, Heated door mirrors, Illuminated entry, Outside temperature display, AM/FM/CD Player w/6.1" Touch Screen Audio System, Remote keyless entry, Rear Spoiler, and Rearview Camera. One owner, clean CarFax report, Original MSRP $23,400.2014 Toyota Camry SE - Cosmic Gray Mica exterior over a Black/Ash 2-Tone interior, 17" Alloy Wheels, Electronic Stability Control, Heated door mirrors, Illuminated entry, Outside temperature display, AM/FM/CD Player w/6.1" Touch Screen Audio System, Remote keyless entry, Rear Spoiler, and Rearview Camera. One owner, clean CarFax report, Original MSRP $23,400. 2017 Honda Civic Coupe EX-L - Rallye Red exterior over a Black/Ivory Leather interior, 17" Alloy Wheels, Front dual zone A/C, Fully automatic headlights, Heated door mirrors, Heated front seats, Power moonroof, 450-Watt AM/FM/HD/SiriusXM Audio System, Rearview Camera. One owner, clean CarFax report, Original MSRP $23,525.2017 Honda Civic Coupe EX-L - Rallye Red exterior over a Black/Ivory Leather interior, 17" Alloy Wheels, Front dual zone A/C, Fully automatic headlights, Heated door mirrors, Heated front seats, Power moonroof, 450-Watt AM/FM/HD/SiriusXM Audio System, Rearview Camera. One owner, clean CarFax report, Original MSRP $23,525. 2017 Subaru Impreza 2.0i Sport - Lapis Blue Pearl exterior over a Black Sport Cloth interior, 18" Aluminum Alloy Wheels, Subaru Starlink 8.0" Multimedia Plus System, AM/FM/SiriusXM/CD, 6 Speakers, Fully automatic headlights, Heated front seats, Power door mirrors, Rearview Camera, Spoiler, and Turn signal indicator mirrors. One owner, clean CarFax report.2017 Subaru Impreza 2.0i Sport - Lapis Blue Pearl exterior over a Black Sport Cloth interior, 18" Aluminum Alloy Wheels, Subaru Starlink 8.0" Multimedia Plus System, AM/FM/SiriusXM/CD, 6 Speakers, Fully automatic headlights, Heated front seats, Power door mirrors, Rearview Camera, Spoiler, and Turn signal indicator mirrors. One owner, clean CarFax report. 2014 Mercedes-Benz CLA 250 - Polar Silver exterior over a Black interior with Anthracite Trim, Premium Package (Heated Front Seats, harman/kardon® Sound System, Dual Zone Automatic Climate Control, SiriusXM Radio, Media Interface, Driver's Side & Interior Auto-Dimming Mirrors, Garage Door Opener, and iPod/MP3 Media Interface Cable), Multimedia Package (COMAND® System w/ Hard-Drive Navigation and Rearview Camera), 17-Inch 5-Spoke Wheels, Rear Deck Spoiler, Panorama Sunroof, Sport Suspension, and Bi-Xenon Headlamps w/ LED Tail Lamps. One owner, clean CarFax report, Original MSRP $38,845.2014 Mercedes-Benz CLA 250 - Polar Silver exterior over a Black interior with Anthracite Trim, Premium Package (Heated Front Seats, harman/kardon® Sound System, Dual Zone Automatic Climate Control, SiriusXM Radio, Media Interface, Driver's Side & Interior Auto-Dimming Mirrors, Garage Door Opener, and iPod/MP3 Media Interface Cable), Multimedia Package (COMAND® System w/ Hard-Drive Navigation and Rearview Camera), 17-Inch 5-Spoke Wheels, Rear Deck Spoiler, Panorama Sunroof, Sport Suspension, and Bi-Xenon Headlamps w/ LED Tail Lamps. One owner, clean CarFax report, Original MSRP $38,845. 2016 Jeep Grand Cherokee Laredo 4X4- Granite Crystal Metallic Clearcoat exterior over a Black interior, Customer Preferred Package 23E (Bright Side Roof Rails, Power 4-Way Driver Lumbar Adjust, and Power 8-Way Driver/Manual Passenger Seat), 17" x 8.0" Aluminum Wheels, ABS brakes, Compass, Electronic Stability Control, Front dual zone A/C, Heated door mirrors, Illuminated entry, Low tire pressure warning, Remote keyless entry, and Traction control. One owner, Original MSRP $35,290.2016 Jeep Grand Cherokee Laredo 4X4- Granite Crystal Metallic Clearcoat exterior over a Black interior, Customer Preferred Package 23E (Bright Side Roof Rails, Power 4-Way Driver Lumbar Adjust, and Power 8-Way Driver/Manual Passenger Seat), 17" x 8.0" Aluminum Wheels, ABS brakes, Compass, Electronic Stability Control, Front dual zone A/C, Heated door mirrors, Illuminated entry, Low tire pressure warning, Remote keyless entry, and Traction control. One owner, Original MSRP $35,290. 2014 Mercedes-Benz C 300 4MATIC® - Iridium Silver Metallic exterior over a Black interior with Trapeze Cut Aluminum Trim, Premium Package (Heated Front Seats, harman/kardon® Logic 7® Surround Sound, SiriusXM Radio, Media Interface, Power Dr.Seat & Steering Col. w/ Memory, iPod/MP3 Media Interface Cable, and 4-Way Lumbar Support), Multimedia Package (COMAND® w/Navigation and Voice Control and Rearview Camera), Sport Sedan (AMG® Sportline Package, Sport Suspension, and Radiator grill with central star), 17-Inch 5-Twin-Spoke Wheels, and Rear Deck Spoiler. One owner, Original MSRP $46,755.2014 Mercedes-Benz C 300 4MATIC® - Iridium Silver Metallic exterior over a Black interior with Trapeze Cut Aluminum Trim, Premium Package (Heated Front Seats, harman/kardon® Logic 7® Surround Sound, SiriusXM Radio, Media Interface, Power Dr.Seat & Steering Col. w/ Memory, iPod/MP3 Media Interface Cable, and 4-Way Lumbar Support), Multimedia Package (COMAND® w/Navigation and Voice Control and Rearview Camera), Sport Sedan (AMG® Sportline Package, Sport Suspension, and Radiator grill with central star), 17-Inch 5-Twin-Spoke Wheels, and Rear Deck Spoiler. One owner, Original MSRP $46,755. 2017 Chevrolet Camaro 2LT - Mosaic Black Metallic exterior over a Jet Black leather interior, Power Sunroof, Chevrolet MyLink w/Navigation (2 USB Ports & Auxiliary Input Jack, Bose Premium 9-Speaker Audio System Feature, and SiriusXM Satellite Radio), WRS RS Package (20" 5-Split Spoke Aluminum Wheels, High-Intensity Discharge Headlamps, and Decklid Mounted Lip Spoiler), and Convenience & Lighting Package (Memory Package, Illuminated Sill Plates, Interior Spectrum Lighting, Body-Color Outside Heated Power-Adjustable Mirrors, Wireless Charging For Devices, Rear Park Assist, Rear Cross-Traffic Alert, Enhanced Driver Information Center, Side Blind Zone Alert w/Lane Change Alert, Head-Up Display, and Heated Steering Wheel). One owner, Original MSRP $40535.2017 Chevrolet Camaro 2LT - Mosaic Black Metallic exterior over a Jet Black leather interior, Power Sunroof, Chevrolet MyLink w/Navigation (2 USB Ports & Auxiliary Input Jack, Bose Premium 9-Speaker Audio System Feature, and SiriusXM Satellite Radio), WRS RS Package (20" 5-Split Spoke Aluminum Wheels, High-Intensity Discharge Headlamps, and Decklid Mounted Lip Spoiler), and Convenience & Lighting Package (Memory Package, Illuminated Sill Plates, Interior Spectrum Lighting, Body-Color Outside Heated Power-Adjustable Mirrors, Wireless Charging For Devices, Rear Park Assist, Rear Cross-Traffic Alert, Enhanced Driver Information Center, Side Blind Zone Alert w/Lane Change Alert, Head-Up Display, and Heated Steering Wheel). One owner, Original MSRP $40535. CERTIFIED PRE-OWNED 2016 Mercedes-Benz GLA 250 - Jupiter Red exterior over a Black interior with Aluminum Trim, Rearview Camera, Blind Spot Assist, Panorama Sunroof, 19-Inch Wheels, Heated Front Seats, 12-Color Ambient Lighting, and KEYLESS GO®. One owner, clean CarFax report, Original MSRP $37,950. Mercedes-Benz Certified Pre-Owned Details: * Warranty Deductible: $0 * Transferable Warranty * Roadside Assistance * Limited Warranty: 12 Month/Unlimited Mile beginning after new car warranty expires or from certified purchase date * Vehicle History * Includes Trip Interruption Reimbursement and 7 days/500 miles Exchange Privilege * 165 Point InspectionCERTIFIED PRE-OWNED 2016 Mercedes-Benz GLA 250 - Jupiter Red exterior over a Black interior with Aluminum Trim, Rearview Camera, Blind Spot Assist, Panorama Sunroof, 19-Inch Wheels, Heated Front Seats, 12-Color Ambient Lighting, and KEYLESS GO®. One owner, clean CarFax report, Original MSRP $37,950. 2015 BMW X4 xDrive28i - Black Sapphire Metallic exterior over an Ivory White Nevada Leather interior, Cold Weather Package (Heated Steering Wheel, Heated front seats, Heated rear seats, and Retractable headlight washers), Driving Assistance Package (Rear view camera and Park Distance Control), Premium Package (Comfort Access keyless entry, Lumbar support and SiriusXM), Technology Package (Navigation system, Head-up Display, and Instrument cluster), and M Sport Package (Standard suspension, 19" M wheel 622M, Sport seats, Fineline Anthracite Wood Trim, Dynamic Cruise Control, M steering wheel, Aerodynamic kit, Shadowline exterior trim, Anthracite headliner, and Increased top speed limiter). One owner, Original MSRP $54,550.2015 BMW X4 xDrive28i - Black Sapphire Metallic exterior over an Ivory White Nevada Leather interior, Cold Weather Package (Heated Steering Wheel, Heated front seats, Heated rear seats, and Retractable headlight washers), Driving Assistance Package (Rear view camera and Park Distance Control), Premium Package (Comfort Access keyless entry, Lumbar support and SiriusXM), Technology Package (Navigation system, Head-up Display, and Instrument cluster), and M Sport Package (Standard suspension, 19" M wheel 622M, Sport seats, Fineline Anthracite Wood Trim, Dynamic Cruise Control, M steering wheel, Aerodynamic kit, Shadowline exterior trim, Anthracite headliner, and Increased top speed limiter). One owner, Original MSRP $54,550. 2015 Mercedes-Benz C 350 Coupe 4MATIC® - Mars Red exterior over a Black interior with Appearance Upholstery and Trapeze Cut Aluminum Trim, Lighting Package (Bi-Xenon Headlights with Active Curve Illumination, and Intelligent Highbeam Control), Multimedia Package (COMAND® w/Navigation and Voice Control, and Rearview Camera), Appearance Package (18-Inch AMG® Two-Tone Black/Polished Wheels, KEYLESS GO®, and Appearance Package interior), and Blind Spot Assist. Original MSRP $53,985.2015 Mercedes-Benz C 350 Coupe 4MATIC® - Mars Red exterior over a Black interior with Appearance Upholstery and Trapeze Cut Aluminum Trim, Lighting Package (Bi-Xenon Headlights with Active Curve Illumination, and Intelligent Highbeam Control), Multimedia Package (COMAND® w/Navigation and Voice Control, and Rearview Camera), Appearance Package (18-Inch AMG® Two-Tone Black/Polished Wheels, KEYLESS GO®, and Appearance Package interior), and Blind Spot Assist. Original MSRP $53,985. CERTIFIED PRE-OWNED 2016 Mercedes-Benz CLA 250C 4MATIC - Night Black exterior over a Beige interior with Burl Walnut Wood Trim, Premium Package (KEYLESS-GO, Heated Front Seats, harman/kardon Sound System, SiriusXM Radio, Driver's Side & Interior Auto-Dimming Mirrors, and Garage Door Opener), Sport Package (AMG Bodystyling, Brakes with Perforated Front Discs), Rear Deck Spoiler, Rearview Camera, Blind Spot Assist, Compass, Panorama Sunroof, Sport Suspension, Audio 20 CD w/ Garmin Navigation Pre-Wiring, Bi-Xenon Headlamps w/ LED Tail Lamps, and 18" AMG® Multi-Spoke Alloy Wheels - Silver Finish. One owner, clean CarFax report, Original MSRP $41,740. Mercedes-Benz Certified Pre-Owned Details: * Warranty Deductible: $0 * Transferable Warranty * Roadside Assistance * Limited Warranty: 12 Month/Unlimited Mile beginning after new car warranty expires or from certified purchase date * Vehicle History * Includes Trip Interruption Reimbursement and 7 days/500 miles Exchange Privilege * 165 Point InspectionCERTIFIED PRE-OWNED 2016 Mercedes-Benz CLA 250C 4MATIC - Night Black exterior over a Beige interior with Burl Walnut Wood Trim, Premium Package (KEYLESS-GO, Heated Front Seats, harman/kardon Sound System, SiriusXM Radio, Driver's Side & Interior Auto-Dimming Mirrors, and Garage Door Opener), Sport Package (AMG Bodystyling, Brakes with Perforated Front Discs), Rear Deck Spoiler, Rearview Camera, Blind Spot Assist, Compass, Panorama Sunroof, Sport Suspension, Audio 20 CD w/ Garmin Navigation Pre-Wiring, Bi-Xenon Headlamps w/ LED Tail Lamps, and 18" AMG® Multi-Spoke Alloy Wheels - Silver Finish. One owner, clean CarFax report, Original MSRP $41,740. 2015 BMW X5 xDrive35i - Alpine White exterior over a Canberra Beige Dakota Leather interior with Upholstery with Fineline Oak Wood Trim, Premium Package (Comfort Access Keyless Entry, 4-Zone Automatic Climate Control, and SiriusXM Satellite Radio), Aluminum Running Boards, Rear-view Camera, Rear Manual Side Window Shades, harman/kardon® Surround Sound System, Heated Front Seats, and Park Distance Control. One owner, clean CarFax report, Original MSRP $60,675.2015 BMW X5 xDrive35i - Alpine White exterior over a Canberra Beige Dakota Leather interior with Upholstery with Fineline Oak Wood Trim, Premium Package (Comfort Access Keyless Entry, 4-Zone Automatic Climate Control, and SiriusXM Satellite Radio), Aluminum Running Boards, Rear-view Camera, Rear Manual Side Window Shades, harman/kardon® Surround Sound System, Heated Front Seats, and Park Distance Control. One owner, clean CarFax report, Original MSRP $60,675. CERTIFIED PRE-OWNED 2016 Mercedes-Benz CLA 250 - Night Black exterior over a Black interior with Black Ash Wood Trim, Premium Package (KEYLESS GO®, Heated Front Seats, harman/kardon® Sound System, SiriusXM Radio, Driver's Side & Interior Auto-Dimming Mirrors, and Garage Door Opener), 17-Inch 5-Spoke Alloy Wheel, Rear Deck Spoiler, Rearview Camera, Compass, Panorama Sunroof, Audio 20 CD w/ Garmin Navigation Pre-Wiring, and Comfort Suspension. One owner, clean CarFax report, Original MSRP $37,940. Mercedes-Benz Certified Pre-Owned Details: * Warranty Deductible: $0 * Transferable Warranty * Roadside Assistance * Limited Warranty: 12 Month/Unlimited Mile beginning after new car warranty expires or from certified purchase date * Vehicle History * Includes Trip Interruption Reimbursement and 7 days/500 miles Exchange Privilege * 165 Point InspectionCERTIFIED PRE-OWNED 2016 Mercedes-Benz CLA 250 - Night Black exterior over a Black interior with Black Ash Wood Trim, Premium Package (KEYLESS GO®, Heated Front Seats, harman/kardon® Sound System, SiriusXM Radio, Driver's Side & Interior Auto-Dimming Mirrors, and Garage Door Opener), 17-Inch 5-Spoke Alloy Wheel, Rear Deck Spoiler, Rearview Camera, Compass, Panorama Sunroof, Audio 20 CD w/ Garmin Navigation Pre-Wiring, and Comfort Suspension. One owner, clean CarFax report, Original MSRP $37,940. CERTIFIED PRE-OWNED 2016 Mercedes-Benz C 300 4MATIC® - Palladium Silver Metallic exterior over a Black interior with Gloss Black & Aluminum Trim, Premium Package (KEYLESS GO®, Burmester Surround Sound System, Entrance Lamps in Doors, and SiriusXM Radio), Multimedia Package (COMAND® DVD CD Single w/Navigation and Voice Control), Rear Deck Spoiler, Rearview Camera, 18-Inch Twin 5-Spoke Wheels, Blind Spot Assist, Rear Side Airbags, Panorama Sunroof, Heated Steering Wheel, Head-Up Display, Comfort suspension, LED Headlamps, and Heated Front Seats. One owner, clean CarFax report, Original MSRP $52,205. Mercedes-Benz Certified Pre-Owned Details: * Warranty Deductible: $0 * Transferable Warranty * Roadside Assistance * Limited Warranty: 12 Month/Unlimited Mile beginning after new car warranty expires or from certified purchase date * Vehicle History * Includes Trip Interruption Reimbursement and 7 days/500 miles Exchange Privilege * 165 Point InspectionCERTIFIED PRE-OWNED 2016 Mercedes-Benz C 300 4MATIC® - Palladium Silver Metallic exterior over a Black interior with Gloss Black & Aluminum Trim, Premium Package (KEYLESS GO®, Burmester Surround Sound System, Entrance Lamps in Doors, and SiriusXM Radio), Multimedia Package (COMAND® DVD CD Single w/Navigation and Voice Control), Rear Deck Spoiler, Rearview Camera, 18-Inch Twin 5-Spoke Wheels, Blind Spot Assist, Rear Side Airbags, Panorama Sunroof, Heated Steering Wheel, Head-Up Display, Comfort suspension, LED Headlamps, and Heated Front Seats. One owner, clean CarFax report, Original MSRP $52,205. CERTIFIED PRE-OWNED 2016 Mercedes-Benz GLA 250 4MATIC® - Jupiter Red exterior over a Black with Aluminum Trim, Premium Package (KEYLESS GO®, Heated Front Seats, Burmester Surround Sound System, SiriusXM Radio, Autodimming Mirrors, and Garage Door Opener), Sport Package (Brakes with Perforated Front Discs & MB Logo, and Sport Appearance Package), Garmin MAP PILOT®, Wheel Locking Bolts, Rearview Camera, Blind Spot Assist, Compass, Panorama Sunroof, and 19-Inch AMG® 5-Spoke Alloy Wheel. One owner, clean CarFax report, Original MSRP $43,505. Mercedes-Benz Certified Pre-Owned Details: * Warranty Deductible: $0 * Transferable Warranty * Roadside Assistance * Limited Warranty: 12 Month/Unlimited Mile beginning after new car warranty expires or from certified purchase date * Vehicle History * Includes Trip Interruption Reimbursement and 7 days/500 miles Exchange Privilege * 165 Point InspectionCERTIFIED PRE-OWNED 2016 Mercedes-Benz GLA 250 4MATIC® - Jupiter Red exterior over a Black with Aluminum Trim, Premium Package (KEYLESS GO®, Heated Front Seats, Burmester Surround Sound System, SiriusXM Radio, Autodimming Mirrors, and Garage Door Opener), Sport Package (Brakes with Perforated Front Discs & MB Logo, and Sport Appearance Package), Garmin MAP PILOT®, Wheel Locking Bolts, Rearview Camera, Blind Spot Assist, Compass, Panorama Sunroof, and 19-Inch AMG® 5-Spoke Alloy Wheel. One owner, clean CarFax report, Original MSRP $43,505. Luxury is a key element of each and every Mercedes-Benz model’s design, and that sense of refinement is something we believe every driver should be able to attain. To that end, our pre-owned inventory may be a better option of you’re on a budget. When you explore our dealership’s inventory of used Mercedes-Benz models for sale in Alexandria, you’ll find some priced below $30,000. Make no mistake, though; these attainable vehicles offer all of the comfort and class that you’ve come to expect from Mercedes-Benz. This special collection of used cars also includes vehicles from other popular automakers. 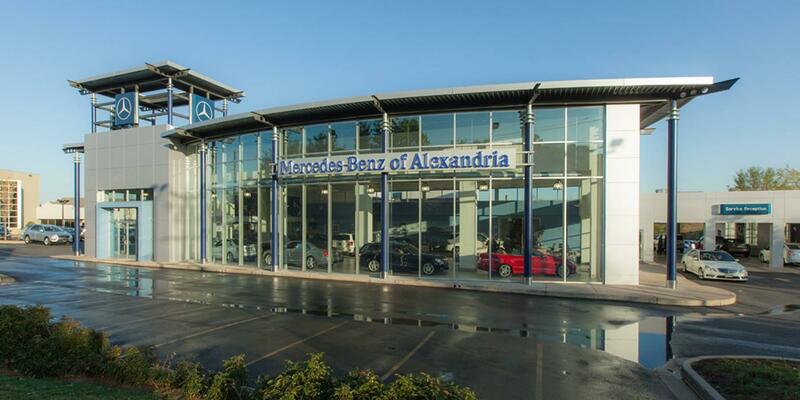 In addition to our inventory of used cars under $30,000, we also offer an array of used Mercedes-Benz specials at our Alexandria dealership to help Northern Virginia area auto shoppers save. Regardless of what sort of vehicle you’ve been shopping for, our team is confident that we can help you find an option that’s suited to your budget. Of course, the first step toward finding yourself behind the wheel of a quality pre-owned vehicle is coming to see us here at Mercedes-Benz of Alexandria. To learn more about our used car inventory, or to schedule a test drive, don’t hesitate to contact us by calling (703) 341-2100 today. We are conveniently located in Northern Virginia, near Fairfax, Washington D.C., and Prince George’s County.